On the Friday 12th of September 2014, I attended the Icon UK in the IBM Southbank Customer Centre, London. This review is a bit late since the attendance was part of my vacation. Ryan Baxter explained and demoed Bluemix. Earlier I have watched some demo’s on YouTube (link 1, link 2, link 3) but a demo with some interaction with the crowd is always nicer. The question ‘what is in it for me as a Notes specialist?’ was partly answered by Ryan. If I understood it correctly IBM is investigating the options how to integrate Notes with Bluemix. More information on this topic you can start to surface on Mark Roden’s post. I was not able to attend the Bluemix hands-on workshop. I wonder if that material is still available somewhere? The Unofficial FAQ for Connections Integration Development. Developing Connections Plug-ins and applications is full of “What the? ?” moments, from what browser technologies and versions are supported through to common functions working in different ways in different parts of Connections, any of these can put a real dent in your delivery date but most are easy to cure and avoid with a little bit of hindsight and knowledge, here is that knowledge for you to take home and help you deliver on time. Mark Myers talked about his experiences on developing and customizing IBM Connections. Shortly summarized: expect surprises. IBM Connections can be the data source or the data destination for many other applications. In this session we will show you how you can use TDI to automate tasks like wiki page creation, maintain Community membership through a Domino application or how to use Profile data for Sametime Business Cards. Come and see how you can reuse data without any headache and how your Admin life gets easier by using TDI scripts. Klaus Bild talked and demoed how you can use Tivoli Directory Integrator to automate tasks in IBM Connections. A video where Klaus demonstrates the usage of a Notes database to create the data for the assembly line for TDI you can find here. It was nice to see IBM Notes can play a role in supporting IBM Connections. Mark Leusink talked about alternative techniques for Notes and XPages. Although the technical alternatives are there I didn’t really get the impression they compete with a strength of Notes: RAPID APPLICATION DEVELOPMENT. IBM’s leadership in social business software grew from internal roots – the adoption of collaborative technologies and practices inside the organization. In this session, Ed Brill – VP IBM Social Business Transformation – will describe how IBM has adopted a culture of participation, and the practical business benefits from becoming a social business. Biggest news from Icon UK: Ed Brill is back at ICS? Probably one of the smallest audiences Ed Brill presented in front of, but it was great to hear ‘social’ is still in his veins. Probably the hardest part of social transformation is getting people participating. It is understandable that people are reserved in ‘dare to share’ when business future is under movement. You’ve built up standard controls, resources and SSJS/Java libraries you use in your applications. Surely there’s a better way than copying and pasting from NSF to NSF? We’ll show you best practices for setting up a development environment, how to build your code into an OSGi plugin, demystify the XSP Starter Kit, and show how to test, debug and deploy your plugin efficiently. Paul Withers talked and demoed how to create an OSGi plugin. I am not sure if I followed it all the way. 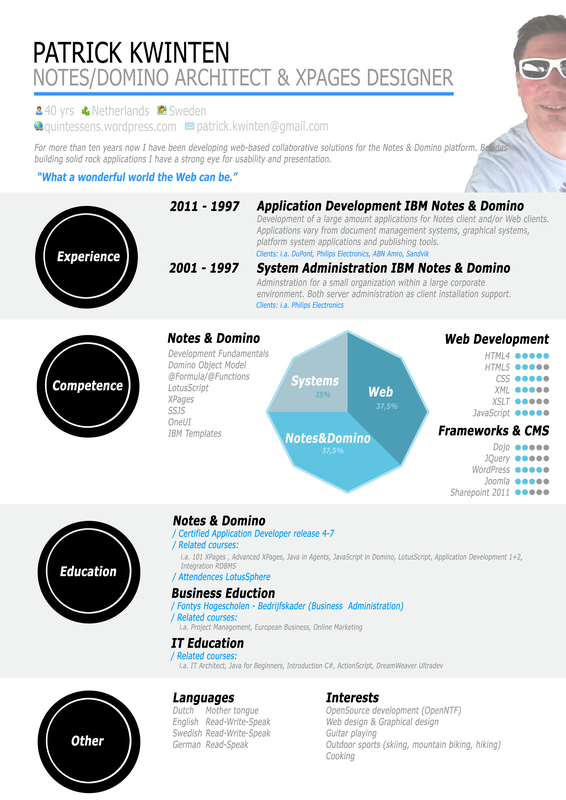 On youtube Ryan Baxter demonstrates how to use Domino Data in Bluemix apps: http://www.youtube.com/watch?v=322NPTgUS7E.